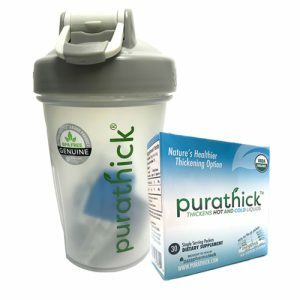 USDA Organic Thickener for Breast Milk & Formula. Each Box includes 30 individual serving 2.4g sticks. Each stick (2.4g) thickens 5-6 fl oz to slightly thick (thin nectar) or 3-4 fl oz to mildly thick (nectar). 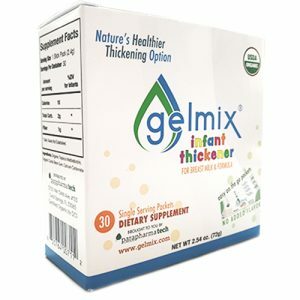 USDA Organic Thickener for Breast Milk & Formula. 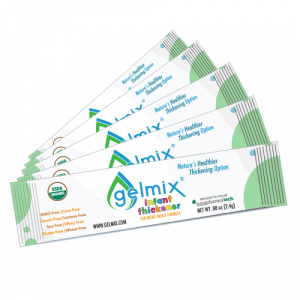 Each Gelmix Sample Pack includes 5 individual serving 2.4g sticks. Each stick (2.4g) thickens 5-6 fl oz to slightly thick (thin nectar) or 3-4 fl oz to mildly thick (nectar). 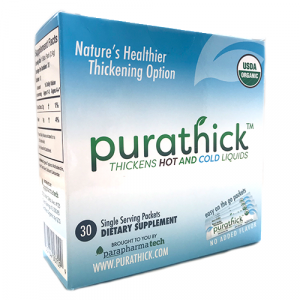 USDA Organic Thickener for Hot & Cold Liquids. 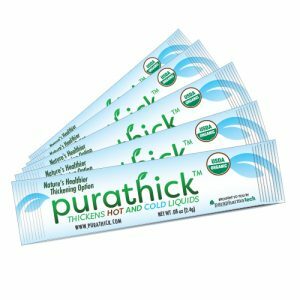 Each Purathick Sample Pack includes 5 individual serving 2.4g sticks. Each stick (2.4g) thickens 5-6 fl oz to mildly thick (nectar) or 3-4 fl oz to moderately thick (honey). 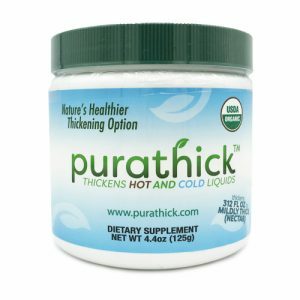 USDA Organic Thickener for Hot & Cold Liquids. Each Starter includes a blender bottle & a box of 30 individual serving 2.4g sticks. Each stick (2.4g) thickens 5-6 fl oz to mildly thick (nectar) or 3-4 fl oz to moderately thick (honey).